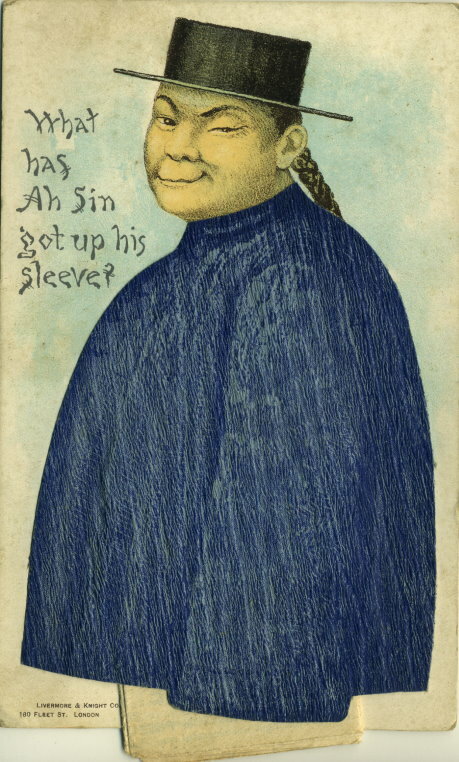 A postcard showing a China man on the reverse with a marriage competition leaflet placed under his sleeve. The front has a picture of a washing line. Incorrectly stamped 1/2d paid but not surcharged.